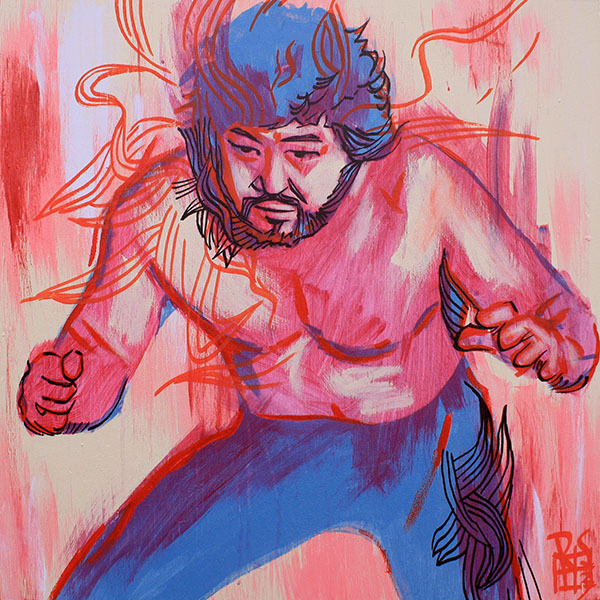 Masa Saito wrestled around the world and through his exploits became one of the most notorious wrestlers of his time. Masanori Saito was born in 1942 in Tokyo, Japan, and would go on to represent his country as a freestyle wrestler in 1964, placing seventh. He began wrestling professionally the next year, first in Japan and soon in the United States. At first he mainly competed in tag team bouts, teaming with Kenji Shibuya in Los Angeles. He also teamed with Gene Kiniski in Vancouver, BC to win the Canadian Tag Team Championship in late 1974 before losing it to Ormand Malumba and Guy Mitchell. In 1977 he teamed with Ivan Koloff to defeat Rocky Johnson and Pedro Morales for the National Wrestling Association Florida Tag Team Championship. They would go on to win and lose the belts a few times before losing them for the last time to the brother team of Jack and Gerald Brisco. In 1981 he joined the World Wrestling Federation, where he would partner with Mr Fuji under the management of Captain Lou Albano. The duo went on to win the WWF Tag Team Championship after defeating Tony Garea and Rick Martel and went on to have a notable feud with Chief Jay and Jules Strongbow. In 1984 Saito went to prison for two years after allegedly throwing a boulder through the window of a closed McDonald’s with Ken Patera after the restaurant had refused them service. Following his release, he returned to All Japan Pro Wrestling and entered into a feud with Antonio Inoki, ending with the notorious Island Death Match on October 4, 1987. The two competitors were placed on Ganryujima Island and went on to wrestle a brutal two hour match across the entire island! The following year he left All Japan and joined New Japan Pro Wrestling, where he won the IWGP Tag Team Championship with Riki Choshu and again the next year with Shinya Hashimoto. In 1990 he defeated Larry Zbyszko for the American Wrestling Association World Heavyweight Championship, before losing it back to him a few months later. After a brief run with World Championship Wrestling Saito retired from in-ring competition. About the piece: This was a real fun one to do as again I pushed myself past my comfort zone stylistically. First I laid down the background with some different colors of acrylic house paint. Once that dried, I watered down some acrylic paint to bring in the figure, but mainly just in literal broad strokes. With that dry, I defined a few of the features with both red and black paint marker, but also let the lines ‘escape’ the figure. It’s the opposite of coloring outside the lines, I guess! Because as we all know, the best parts of being an adult are staying up past your bed time and coloring outside the lines.